In this 2-part set, Dr. Roskam brings together his extensive experience in industry and in academia to explain the theory, methods, tools and tricks of airplane design and analysis. Part I provides the methods for analysis and synthesis of the steady state and perturbed state (open loop) stability and control of fixed wing aircraft. Part II provides the methods for analysis and synthesis of automatic flight control systems using classical control theory. 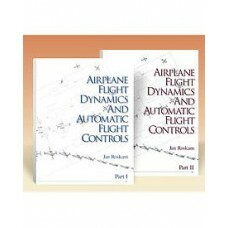 Dr. Jan Roskam has authored ten books on airplane flight dynamics and airplane design. He co-authored Airplane Aerodynamics and Performance with Dr. CT. Lan. He has written more than 160 papers on these topics and authored the popular Roskam's War Stories. He has actively participated in more than 36 major airplane programs. He retired as Ackers Distinguished Professor of Aerospace Engineering at The University of Kansas (KU) in 2003, where he taught airplane design, stability and control. Dr. Roskam retired as President of DARcorporation (Design, Analysis and Research Corporation) in 2004. He currently serves as an active consultant for DARcorporation, which develops and markets airplane design and analysis software, and is a successful private and government consulting firm. 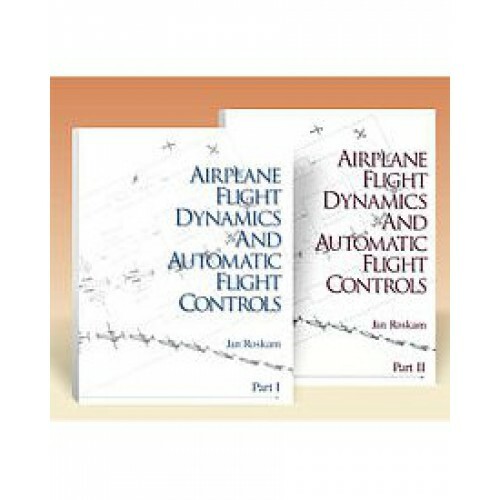 Dr. Jan Roskam • Soft cover • 576 pp • Reprint: 2018	Airplane Flight Dynamics & Automatic Flight Controls, Part I, provides exhaustive coverage of the metho..
Dr. Jan Roskam • Soft cover • 416 pp • Reprint: 2009	Airplane Flight Dynamics & Automatic Flight Controls, Part II, provides exhaustive coverage of the..